I’m the type of person who needs to eat every few hours or I get a little “hangry” (i.e. angry out of hunger). We eat an early lunch around here so I almost always need an afternoon snack to get me through, preferably one that is high in protein. I normally eat a lot of cheese and crackers, but I’ve been trying to keep different types of hummus on hand for a healthier option that still offers a ton of protein. 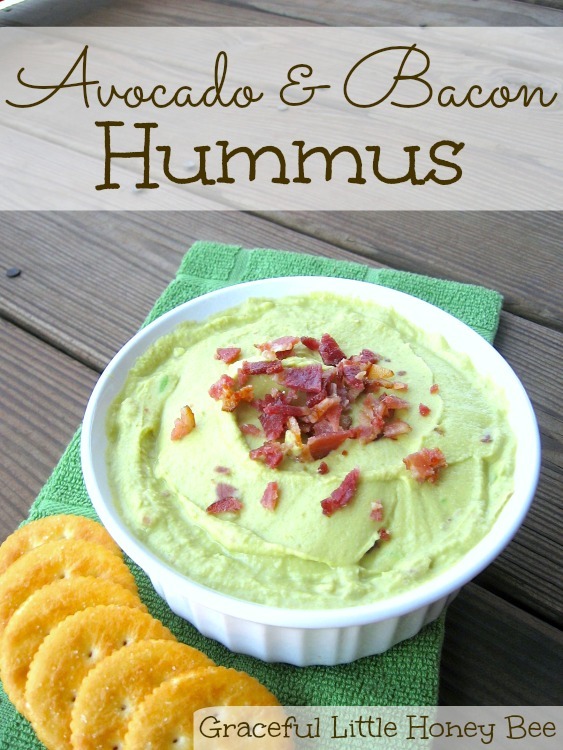 Like I stated above, I’ve been trying to keep hummus in the house for a healthy afternoon snack and I love the combination of the avocado and bacon in this recipe. 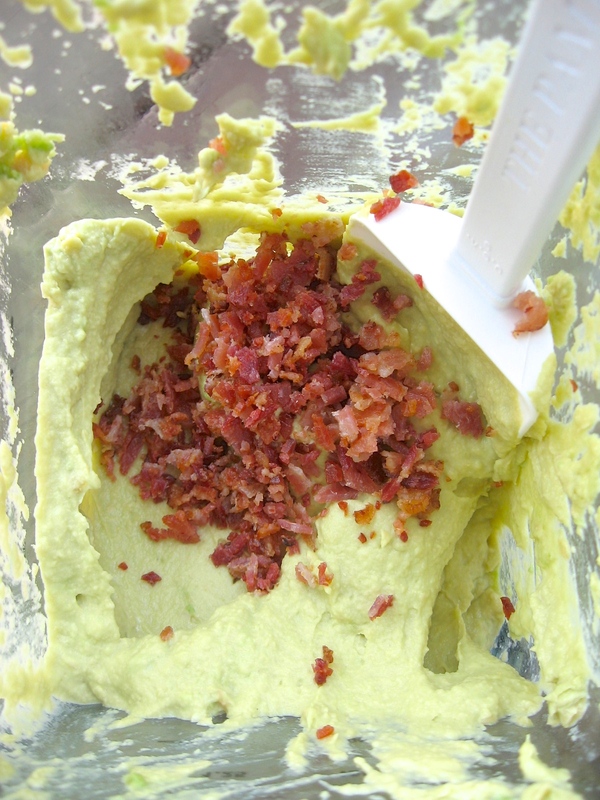 The avocado gives it a rich, creamy texture and the bacon gives it a salty/savory flavor which is a winning combination in my opinion. I made this hummus with sesame oil instead of tahini, but you could substitute it for a more traditional hummus if you wanted too. Step 1: Add all ingredients (except bacon) to blender. Step 2: Blend until smooth. You may want to add more water depending on how thick you want it to be. Step 3: Pour into bowl and stir in bacon. 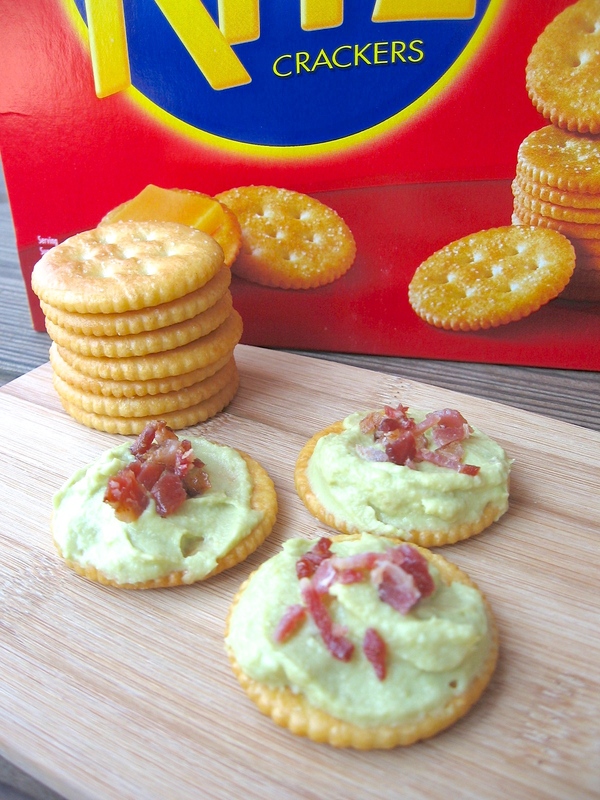 You really should try this hummus with RITZ® crackers because they taste awesome together! 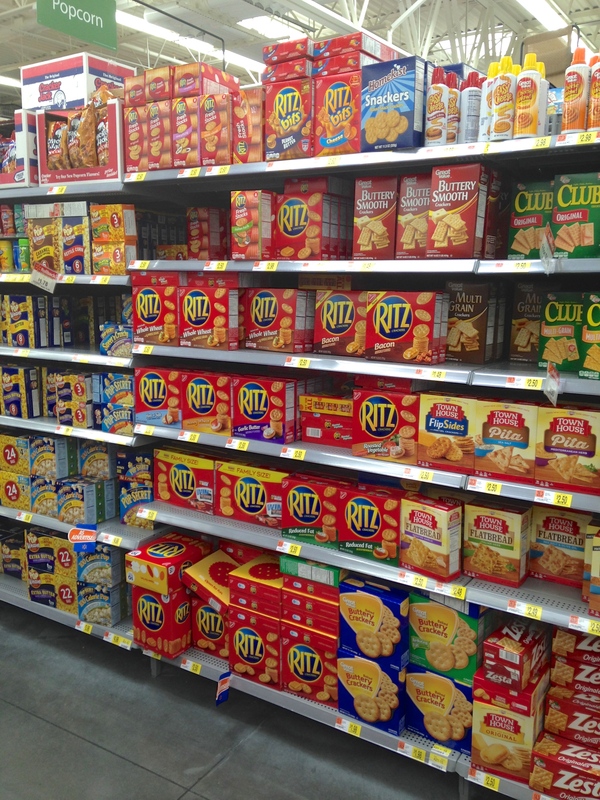 Don’t forget you can pick up your own box of RITZ® at your local Wal-Mart store on the cookie and cracker aisle. Also, be sure to visit this website for recipes and more information on the RITZ® Snackify contest! Do you like hummus? 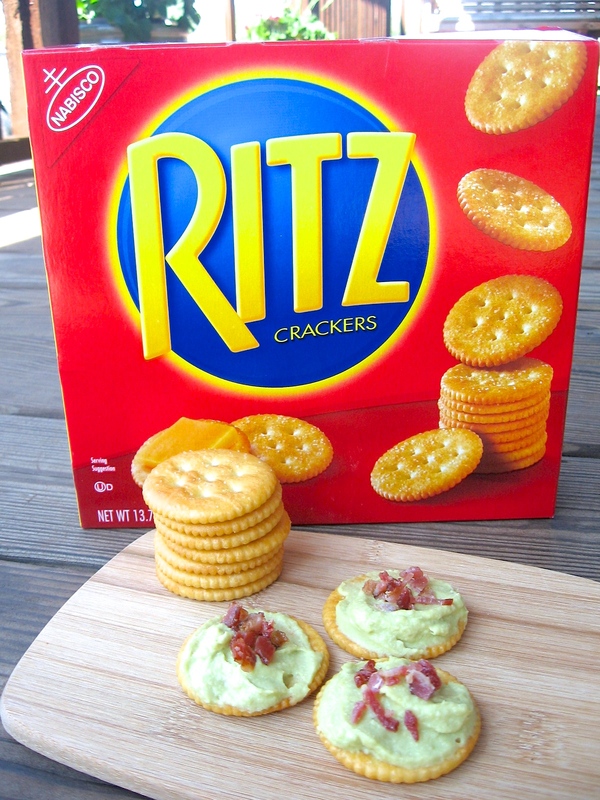 What is your favorite topper for a RITZ® cracker? I’d love to know! Add all ingredients (except bacon) to blender. Blend until smooth. You may want to add more water depending on how thick you want it to be. Pour into bowl and stir in bacon. A bunch of my mommy friends and I are huge Hummus lovers! So I can't wait to try this at the next play-date!!! Thanks for sharing at the Best Recipes and DIY Project link party! Does this turn dark due to the avocado if not eaten right away? I am not sure. We ate it quickly.